Everything is a matter of choice. During our life, we will always have to take sides and steer our actions towards what we believe is right. That is why there is not « A Mass Effect » but « Mass Effects » born through decisions made by the players. Because « Mass Effect » is such a vast, detailed and living universe, it succeeds in encouraging the player to dive right into it, in this story taking place between the years 2183 and 2186. This glimpse of an imaginary future awakes the imagination and deeply involves the player in his decisions that will greatly affect the storyline. Those same decisions, sometimes difficult, are subject to controversy. Often indeed, the player must compromise given the situation. 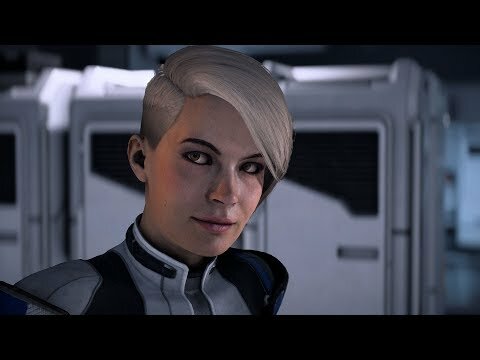 In Mass Effect, nothing is white nor is it black, as shown by the end of the trilogy : even the most conciliatory decisions bring heavy consequences. 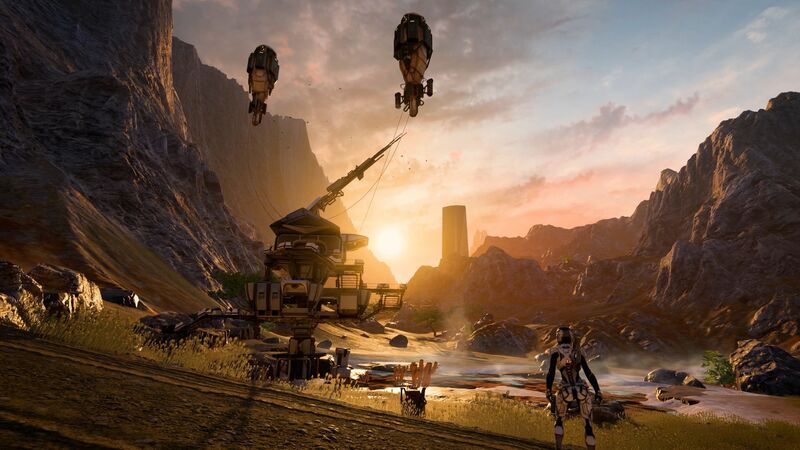 However, even with these choices made by the players, we think there is a global and common vision of the Mass Effect universe, as presented in the saga. We are trying to gather data through a statistical study to highlight the subconscious of players. The objective is to define the global vision the fans have of the entire universe. With this data, we seek to bring the videogame even closer to reality. To do this, we will present you the subject of study and the essential question, the guiding thread that pushed our research forward and to its end, we will then explain in details the methodology used and to conclude, we will analyze the gathered data and draw conclusions you may find surprising. 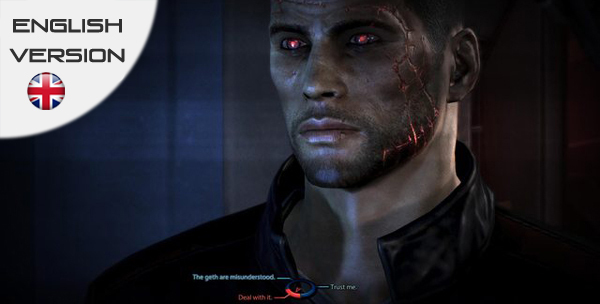 To play Mass Effect is a really different experience than spending time on a video game. Indeed, the series is entirely build around the player and his actions, accomplished during the story. Each and every choice and decision creates a piece of the final puzzle. This large range of possibilities allows the development of countless parallel universes in which the story will be different from player to player. This study is narrowed to the extrapolation of data from a questionnaire consisting of 20 closed-ended questions, available online from November 10th, 2012 to December 1st, 2012. We are providing you with a link to a graph that summarize the results of each of the 20 questions of the study. The color blue refers to a positive affinity. The color red refers to a negative affinity. The color green refers to a neutral affinity. Notice : You must have Flash Player installed on your browser (version 10.2 or higher) to see the results. If that is not the case, please download Flash Player for free on the Adobe.com website. And MassEffectLegion.com for the Italian community, that was provided with a custom translation. The total population is estimated between 3733 and 3927 people of undetermined age, origin and gender, because of the anonymity of this study. The French voters are estimated between 862 and 1005 voters, the international participants are between 2786 and 3014 and the Italian community counted between 15 and 18 voters. The possibility given to voters to answer each question individually explains the disparity between the minimum and maximum number of participants. The first theme references the affinities of players with the different main species of Mass Effect. 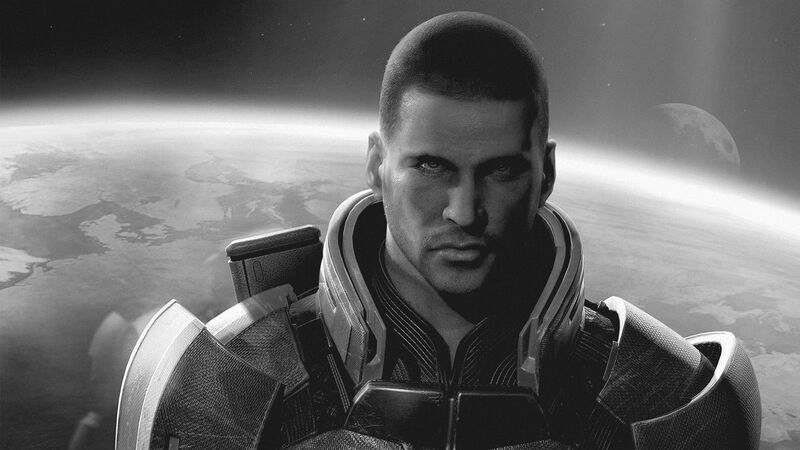 The second theme concerns the political orientation of players in the Mass Effect universe. The third and last theme acts as a means to confirm or invalidate the logic between the choices made for the first 14 questions. It confronts players with the choices they made during the 3 episodes of the series on critical topics. The nature of the questions was designed to bring the most spontaneous answer possible from the participants, thus allowing to define a more accurate degree of affinity on a given subject. 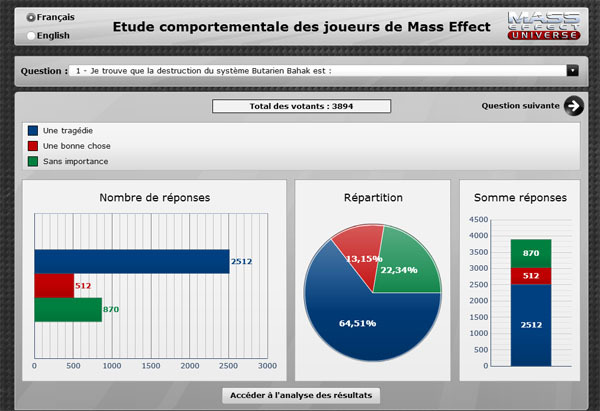 The questionnaire is designed around a similar system of choices seen in the Mass Effect games. So, for 14 questions over 20, voters have been given the choice between 3 different answers, corresponding to a positive, neutral or negative affinity regarding the topic presented. The 6 other questions only offered 2 possible answers. This is explained by the fact that we wanted a more definite opinion from the players (no neutral choice) or because the nature of the question made a third possible choice irrelevant (for example, whether the player saved the Council or not in Mass Effect 1). After analyzing the data, we noticed that presenting each result individually would lead to nothing in particular, aside from some surprising affinity from this or that species or political choice. This is where we started to associate results together and defined 3 major directions, highlighting the way the world of Mass Effect was perceived by the players. The results focused on the affinity of players regarding the main species of Mass Effect are surprising. Our relation to the game and relationship between Shepard and his team can lead us to believe the favorite species of the players are Quarians, Asaris… but that is not the case. In fact, despite the great disputes and conflicts against some alien civilizations, we noticed that players had a rather positive opinion of those communities. Thus, 64.51 % of voters thought the destruction of the Batarian solar system was a real tragedy and 78.85 % of the participants, almost 8 out of 10 people, found the Genophage to be a harsh decision to solve the Krogan Rebellion. To them, alternatives were available. Same goes with the Turians. 85.8% of players are feeling safe when they are around the very species they fought during the First Contact War. The data concerning Asaris and Salarians is more mixed. Indeed, only 50,49% of people think that Asaris are a noble race and a model for the galaxy whereas 32.42% of voters find them vain. It is also an interesting fact that the blue-skinned aliens have some hard times getting rid of their sexualized image because nearly 1 participants out of 5 (17.09%) associates Asaris with simple sexual objects. Salarians are a little more lucky even though less than 6 people out of 10 (57.32%) would be ready to work and co-operate with them. The biggest surprise yet comes from the Quarians, with a far more negative reputation than any other species. It is surprising to notice that nearly half of the players (45.3%) consider the loss of Rannoch as a logical consequence of their actions. Physical contact, interactions (friendships, wars,…) between species is the pre-determining factor to empathy, positive affinity. The alien civilization for which players seems to have the most empathy are not always the ones you would expect to be, case in point with the very good results from the Krogans and Batarians. The sometimes repulsive physical aspect of aliens doesn’t seems to matter in the empathy department as almost every voter decided to save the Rachni Queen, despite her hideous appearance and the numerous conflicts created by her species. The alien members of Shepard’s commando do not seem to influence the results. 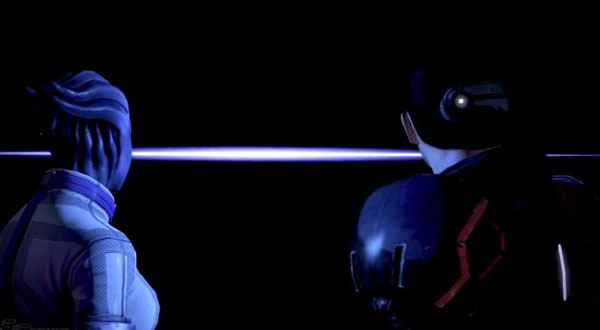 Thus, despite the great love fans dedicate to Tali and Liara, Quarians and Asaris obtained the least satisfying results of the study. In Mass Effect, the most important representative of galactic policy is the Council, lead with an iron fist by the Asari, Salarian and Turian triumvirate. These three counselors do their best to establish durable peace through the galaxy but are the decisions and the efficiency of the official authorities well perceived by the lambda player ? Apparently not. Figures speak volumes : 41.33% of players think the decisions made by the Council are bad and take too long to be made while 33.64% of them show absolutely no interest in politics. This only leaves room for 1 voter out of 4 (25.01%) to be satisfied by the way the Council rules things. Participants also seems unsatisfied by the way they are represented within the Citadel because Counselor Udina is described by 57.89% of voters as an overpaid scrounger and his political ideas are judged too radical by 32.75% of people. The Alliance, official representative organ of the human species is, meanwhile, a little more appreciated. According to 42.35% of participants, the Alliance do its best to face the difficulties and challenges the humans have to deal with. It is also interesting to note that even if 45.26% of players consider the Illusive Man and his pro-Human manifest to be bad, 39.6% of them would be likely to think more seriously about Cerberus radical ideas. Furthermore, even though the Council has little to no appreciation from the players, most of them agree to say its authority is necessary to preserve galactic peace. 69.41% of the time, the Council and the Destiny Ascension were saved at the end of Mass Effect 1, causing heavy losses to the Alliance fleets. In the same vein, democracy is the preferred political system : 63.57% of participants thought the Prothean imperialist system was bound to failure. The Council and Alliance are light-years away from the real problems of ordinary people. This can be explained by the fact that the galaxy is vast and difficult to manage efficiently. The global vision of politicians leaves out a great part of the population that lacks to understand and suffer from their decisions. Humans, furthermore, feels misrepresented by Donnel Udina, too careerist and virulent to have the wit of a true Counselor. Moreover, the administrative delays seems to influence greatly the result. Almost 8 people out of 10 (79.64%) find that Spectres are useful to the galactic community because of their fast intervention time, regardless of the danger such « above the law » individuals may represent. The bad results of the Council may be linked to the mediocre score of Asaris and Galarians developed in the Axe 1. Lost in this vast galaxy, humans tend to become selfish and to favor the ideals of Cerberus and the Illusive Man, thus aggravating the problem. Despite the Council being unable to solve the real difficulties of the population, players still acknowledge its purpose, by saving it 7 times out of 10. 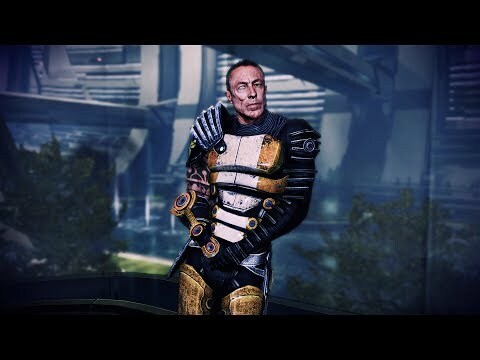 The creation of synthetics and the war against the Reapers are major plot points in the trilogy of Commander Shepard. The results of the study highlight important contrasts in the action took by the players in game. 69.84% of voters consider Geths – Mass Effect synthetics – as living beings. This number, although flattering, is largely weighted by the fact that more than half the players (50.72%) decided to annihilate the Reapers and all synthetic life of the galaxy, at the end of Mass Effect 3. With the arrival of the Geths and Reapers, attitudes started changing and when faced with the creation of a new form of life, 57.9% of voters are ready to believe that a galaxy-wide invasion by a race of intelligent machines is happening. This number is to be taken carefully though, as the participants may have been influenced by Commander Shepard’s perspective of things. This is more of an indicator on how open-minded players are. 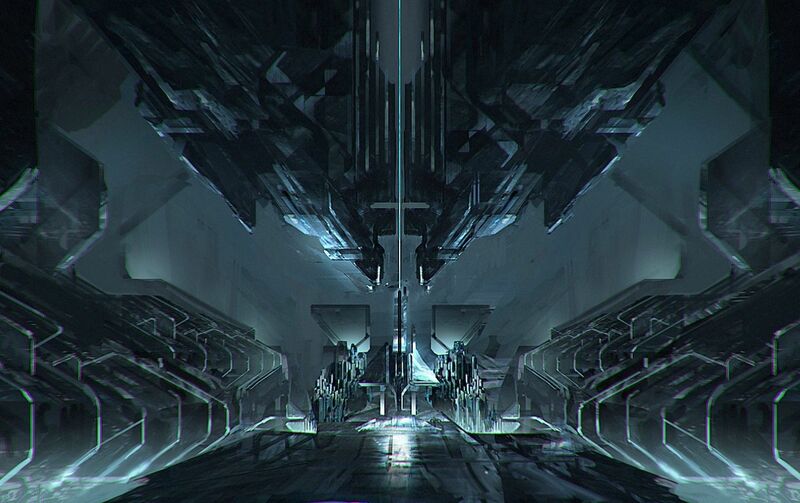 We also notice that 82.95% of players decided to destroy the Collector’s base in Mass Effect 2. With these results in mind, we can deduce that organics, as willing as they can be to welcome a new civilization, a new synthetic form of life, will always act to preserve organic life no matter what. The urgency of the situation during the war against the Reapers will incite humans to destroy the Reapers, dooming the Geths in the process, even though they considered them as living beings. Quarians are less appreciated because other races are conscious that the creation of the Geths is a sensitive topic. By creating life, you have to assume your actions. Creating the Geths means giving them the same rights as any other species. The Quarians actions are perceived as a real sin. Can we play god with life without assuming the consequences ? Geths are considered alive but in most cases, will be exterminated with the Reapers. The necessity to preserve organic life will come before synthetic life, that will be rebuilt if necessary. It is difficult to define the outline of a universe as vast as Mass Effect. Yet, they exist : this study proves it. It allowed to define a common vision of the fans of the series. That is how we discovered with surprise that most of the appreciated species in Commander Shepard’s team (Asaris with Liara, Quarians with Tali,…) are not always the ones to get the best results. This study tends to prove the exact opposite. We casted some light over the most efficient factor of empathy between civilisations : the contact, physical or verbal, regardless of the past, sometimes difficult (First Contact War, Skyllian Blitz…) and also regardless of the appearance, often far from the human canons of beauty. With great surprise, we discovered that the voters had been really moved by the fate of the Batarians, with 300 000 lives lost in the destruction of the Bahak system, and of the Krogans, with the Genophage and its consequences. The galactic policy has little appreciation from the players, as they hardly trust the Council and feel left out by the Alliance. The main problem revealed by this study is the size of the galaxy, huge and difficultly manageable. Furthermore, the differences between alien cultures and the misrepresentation of humanity in the Council by Donnel Udina tends to drive players away from the political figures of Mass Effect. It is then logical that individualism rises and that ideals from Cerberus and the Illusive Man appeals to almost half of the participants. Finally, we can note that the creation of the Geths remains a difficult topic. The notion of synthetic life is difficult to define. However, players of Mass Effect will agree that Geths are living beings but will always prefer to save organic life over the synthetic one, when faced with the difficult choices at the end of the trilogy, as most people choose to destroy Reapers and sacrifice the Geths. 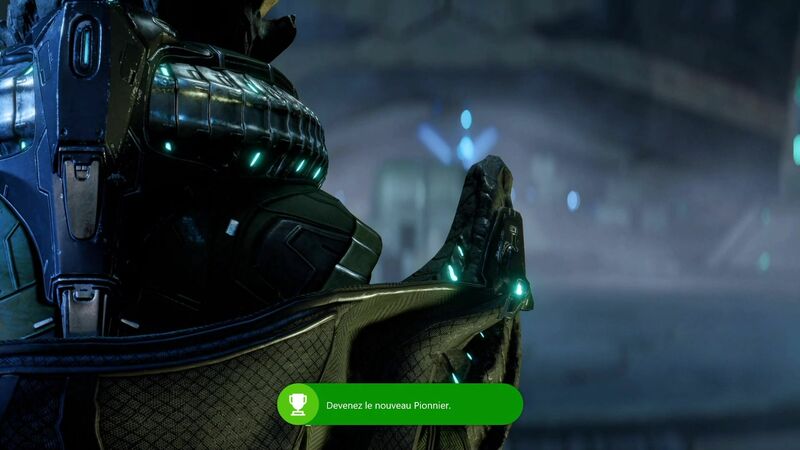 In conclusion, this study allowed to uncover even more the incredible depth of the Mass Effect series, through the vast range of answers obtained. This data also makes us realize that, beyond Commander Shepard, the real main protagonist of Mass Effect is its universe itself. As long as you keep it living inside your mind, even without Commander Shepard, this imaginary world will stay alive. Only then will you be able to truly embrace Eternity ? Bioware Russia.ru, for sharing this study with the Russian community. MassEffectUniverse.com, for the same reasons. 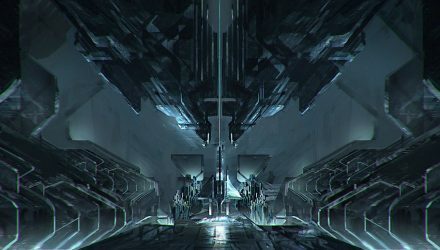 MassEffectLegion.com, for sharing the italian version of the study. 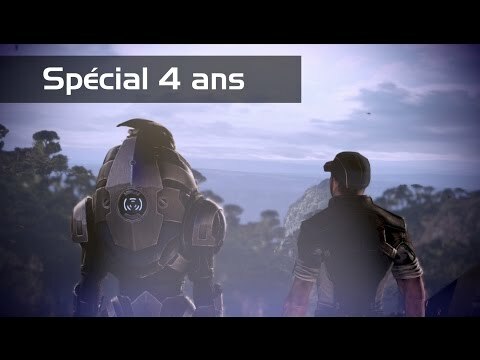 Mass Effect France, for sharing the study with the French community. Bioware, for creating the Mass Effect Series. All the fans, without which nothing would have been possible. Re : Andromeda: J'aime et j'assume ! 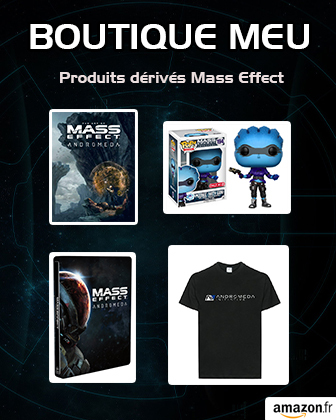 MassEffectUniverse.fr est un fan site qui n'est ni affilié à Electronic Arts ni à ses marques associées.